The time has come to tell you about my progress with the memorial Lodestone. The earlier experiences with the resin convinced me to increase the amount of both catalyst and resin for each mix and that did the trick! No more soft, slow setting and unstable mold sections. I ended up making the mold on this irregular shaped stone with two fractured faces using only three sections. 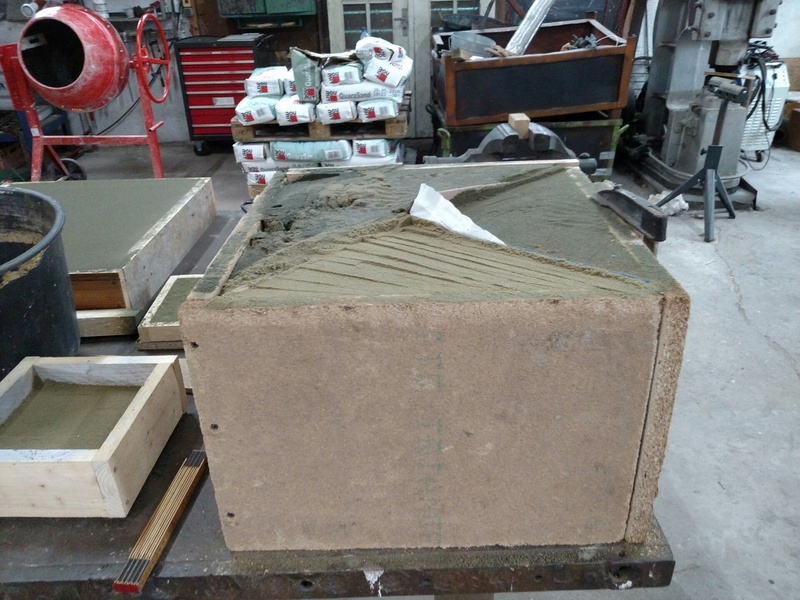 There will be no core and no top section as we will pour the mold open-faced. 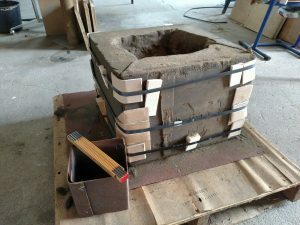 I did fabricate a steel form to set inside the mold after some iron is poured into it. This will bond with the initial iron and allow me to pour the remainder of the mold around the steel form. This will result in creating a void and thereby cutting down on the weight! I don’t usually do this with Lodestones but since I anticipate transporting this particular stone across Germany by train I really need to reduce the weight that I will have to carry. Peter spent time yesterday helping me figure out the train route , times and costs from Salzwedel to Karlsruhe. He also told me about a transport service called Anyvan which I am researching as a possible alternative to the train. I rather doubt that Anyvan will be able to help me, so the train is my only other option at the moment. I still hope to have a discussion with Hans about possibilities for siting the Lodestone in Karlsruhe but he has already told me that he doesn’t have any direct contacts there. It begins to look like I will be going to Pedvale after I site the stone but I haven’t contacted Ojars yet because I’m not certain when I will be able to arrange transport. 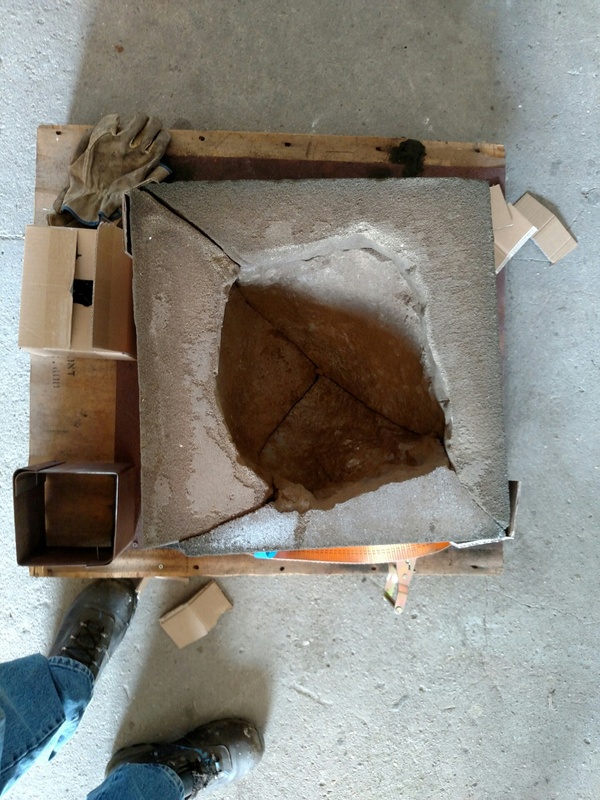 We plan on pre-firing the cupola tomorrow in order to cure the refractory patchs and the lid and to allow people to finish more molds. Wed. August 1 is our first Iron Pour and I plan on casting the Lodestone then. Only 2 days to wait!